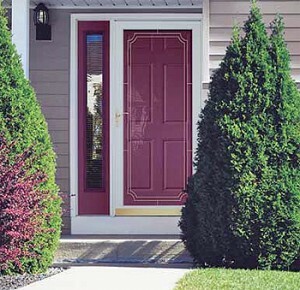 Entry doors are your first chance to make a great impression on visitors at your Washington, D.C., area home. In many cases, they are the focal point of your home, the one chance to put your personal aesthetic imprint on the front of a house or condominium. So, when it is time to install new entry doors, you will certainly want to have as many options as possible at your disposal. You also will want to have it installed professionally, with a guarantee that the work is performed to the highest standards. In short, if you live in the Washington, D.C., area, or any other community in Northern Virginia or Maryland, you will want to work with the home improvement experts from Shiner Roofing, Siding and Windows. Shiner has served the Washington, D.C., region since 1981. We are a family-owned and -operated home improvement contractor that is licensed, bonded, and insured to complete projects in Virginia, Maryland, and the District of Columbia. If you are in the market for entry doors for your home in McLean, VA; Potomac, MD; Arlington, VA; or anywhere else in the capital region, contact Shiner today.